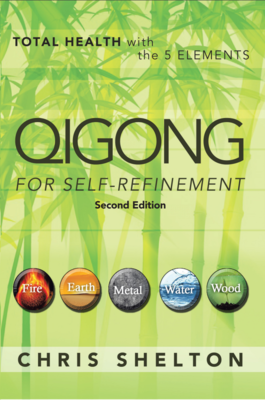 Qigong empowers people to heal themselves through simple, non-invasive techniques and movements. Passed down from ancient China, Qigong is an ancient holistic health modality combining Chinese medicine with movement, breath and visualization. This book includes practices designed to balance your physical and emotional health, improve your mood and increase your vitality. Chris Shelton is a certified practitioner and teacher in Qigong and Chinese medicine. He's helped thousands of people across the United States and around the world reclaim their health and enjoy lives free from chronic pain. Chris has worked with Special Olympics teams, professional martial artists and celebrities looking for deeper meaning in their lives. Chris's work has appeared in newspapers and magazines and been featured on radio and television. He's the founder of Morning Crane Healing Arts Center in San Jose and Los Angeles, CA.